Microbladed eyebrows have become a craze amongst people of all ages. The appeal: it is cheaper than permanent makeup, lasts about 3 weeks, and is less time consuming than applying makeup eyebrows every morning. But like many beauty crazes, microblading corrections is too good to be true. The results of these procedures are often not what was expected and leave clients very unhappy. The demand has continued to increase though, and companies have begun to offer 1 or 2 day courses, claiming this is enough time for a cosmetic professional to master this skill. Microblading is done by making tiny cuts along the brow line which are filled with ink. This creates the look of hairs, but the ink fades rather quickly, so regular touch ups are needed. Unfortunately, there are many problems with this procedure. Most importantly, they are often done by people with very little training and understanding of hygienic procedures, as well as facial shape and structure, colours that best suit the individual, etc. so the semi-permanent tattoo just doesn’t look right. They also may be unaware that very few people actually have the ideal type of skin for this procedure, causing many problems amongst those who have the procedure and suffer the consequences. Even under the best of circumstances, these semi-permanent tattoos create permanent scarring, and the more you have the procedure, aka get a touch up, the most scars you get. Scarring makes it more difficult for a trained permanent makeup artist to fix the often poorly done eyebrows. 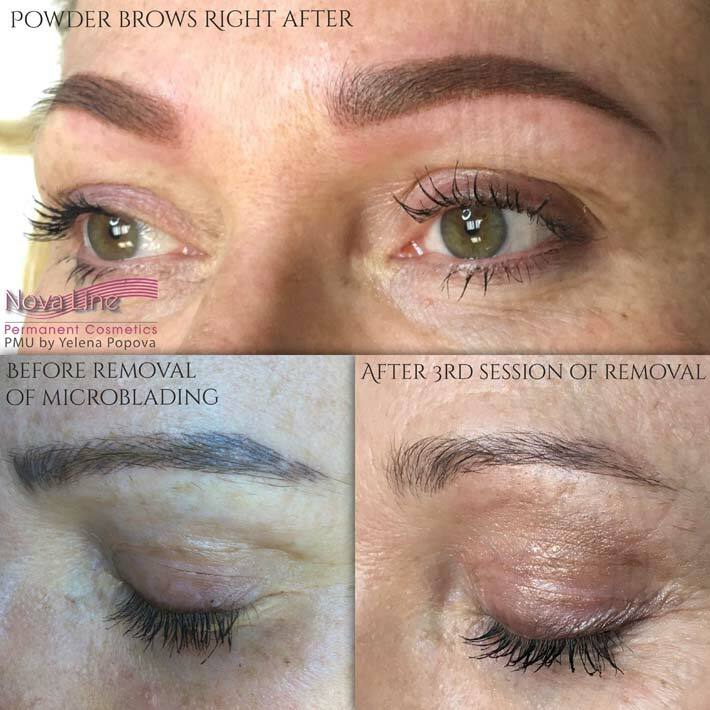 At Novaline Permanent Cosmetic, we have done countless corrections on microbladed eyebrows. Through our clients requesting this service, we have seen poor colour choice, uneven application, incorrectly done strokes, and so much more. Improper hygiene during the procedure can cause serious infections and swelling, among other health problems. 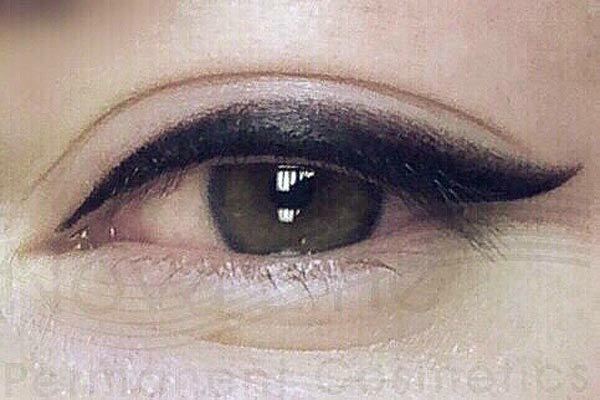 Our expert permanent makeup professionals can often fix the look of these and give you permanent eyebrow makeup you’ll be proud to wear, however, the scarring underneath from the poorly done tattoos will be permanent. 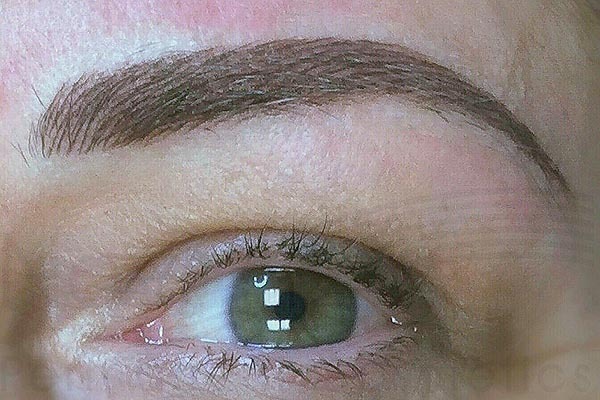 It’s important to note that microbladed eyebrow tattoos can only be fixed with either the shading technique or feathering technique due to how it is applied. 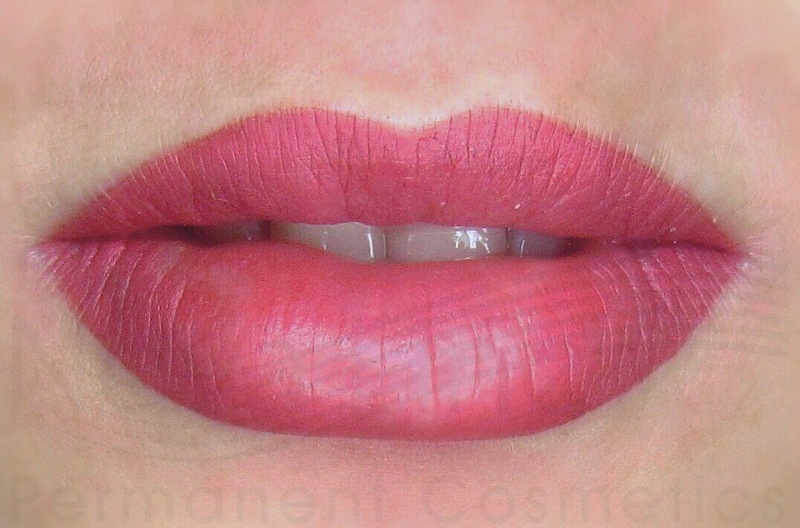 This is why it is absolutely crucial that you seek a true permanent makeup expert the first time. Though the cost may be more at first, in the long run, permanent makeup eyebrows are more cost effective and fade more naturally, without all the scarring and frequent follow up visits of microblading. If you need assistance with fixing improperly done microbladed tattoos or would like to learn about our permanent makeup services, feel free to contact us anytime on our website or at (647) 883-6251.